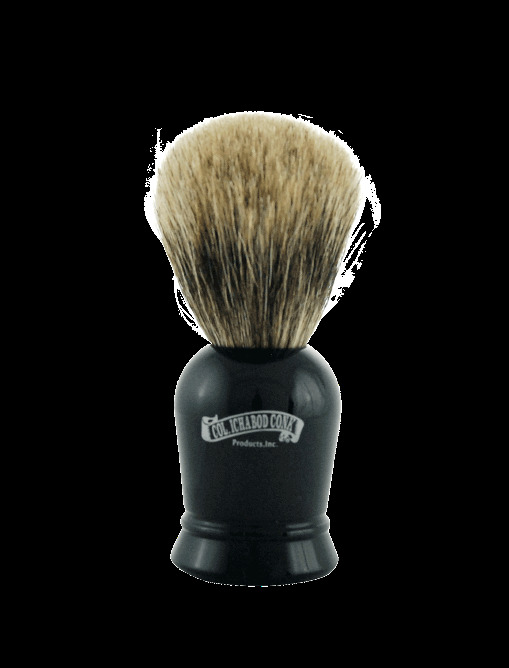 This sleek black handled shave brush looks good while working hard. The faux ebony handle is water resistant and shaped to fit a man's hand. The full head of badger hair builds a mountain of lather in no time. The soft pure badger hair bristles caress your skin as you apply lather.